Jake here with our monthly installment of Operation Digital Nomad. This is the post in which I update you on the progress we’ve made monetizing our slow travel blog. It’s a slow process, but we’re finally starting to see some encouraging results. In this months post, I’m going focus on our efforts to find a niche in the world of family travel blogging. Even though we technically made more money, I consider this to be our best month yet. This month is an improvement over last month and every other month because we made our first affiliate sales. $21.22 of our income was earned when people clicked on links we included in our product reviews and made purchases at our recommendation. When that happened, we earned a commission. The reason I like this kind of income better than, say, photo sales or sponsored posts, is that as long as traffic keeps coming to those pages they can keep earning us money without any extra effort. That’s the kind of passive income that we are looking for. It’s not that we are lazy, it’s just that there are only so many hours in the day, and we’d rather be working on creative content than doing extra photo shoots or writing sponsored posts. But, speaking of sponsored posts, we did finally receive the payment for the single sponsored post we wrote back in September of 2017. If it weren’t for the affiliate sales taking all the glory this month, that would have been the big story. That’s $80 we didn’t have before, and you can bet we’ll be putting it to good use. In February we saw our traffic continue to grow. Our pageviews increased by over 17% and our sessions increased by over 21%. A total of 518 people visited our site 647 times and looked at 1051 pages. And what’s even more encouraging is that most of that increase came in the form of organic search traffic, the best kind for acquiring new readers. Check out this graph of our traffic from Google over the last few months. In our interview with Dan from Baby Can Travel, he told us that the majority of their traffic is from organic search, and more and more that is what we are finding. At first, most of our traffic was direct, meaning that people were either entering our website right into the url bar, or they were bots visiting us randomly. But as we’ve continued to grow, more people have been finding us the natural way, as you can see. If some of the Blog traffic terminology is nonsense to you, take a look at the earlier report in which I did a much closer examination of traffic and search analytics. Operation Digital Nomad: January 2018 – Much like this post, only from last month. It was still our highest monthly income to date. Where to Photograph Provence Lavender Fields – A really detailed guide including directions, photography tips, and loads of amazing lavender photos. 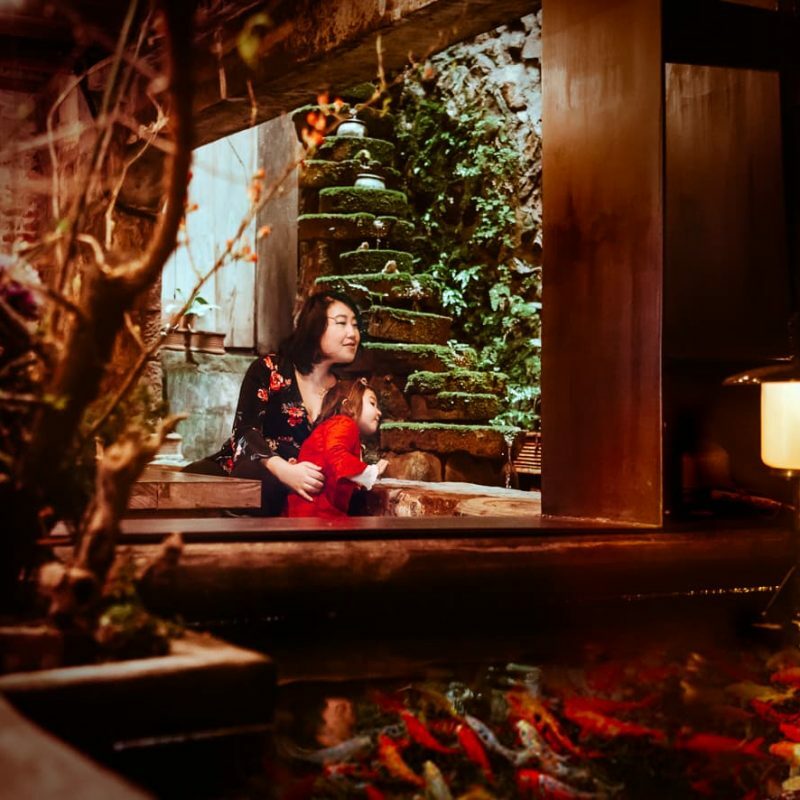 Why One Day in Jiufen, Taiwan is not Enough for Photographers – A description of the amazing village of Jiufen, and supernatural beauty of it’s old streets. Review: The Idaho Jones Gallivant Baby Changing Diaper Backpack (95 page views) Maybe this sudden surge in traffic to the Idaho Jones review is the reason we saw our first affiliate sales. After all 95 sets of eyeballs read our review and some of them were bound to take advantage of our 15% discount code! It’s not easy to stand out. That’s true in any field, and it’s doubly true when it comes to blogging. There are a lot of resources out there for travelers searching the web, some of which we can’t possibly compete with (yet). We considered a number of ways that we could take advantage of our strengths, our passions and even our weaknesses to create content that people would want to read and – perhaps more importantly – that we would want to write. The answer wasn’t obvious at first, but we quickly realized that we had some advantages that could help put a spotlight on our blog. The first advantage was that we are traveling full time. We never have to scratch our heads and struggle to come up with material. Our experiences have been numerous and deep. We get to do far more than just scratch the surface of a destination, and we don’t have to rely on tourism boards or chambers of commerce to tell us where to go. We do our own exploring and we do it at a comfortable pace. Our second advantage is that we are professional photographers. Even though we aren’t working for a client, we still put a lot of effort into our photography. 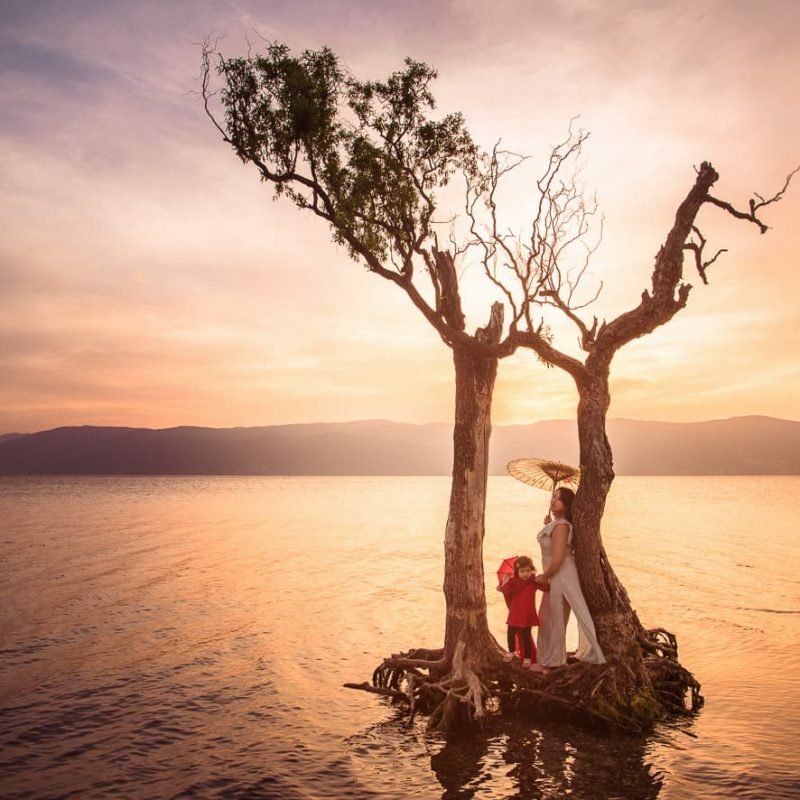 We choose our destinations based on the images we want to create, and we take full advantage of our slow travel schedule to get the most out of our photo shoots. The result is that we have some pretty nice, original images to share on our blog and social media. Those advantages have helped us carve out a niche for ourselves, and we are gradually filling it. We try our best to write the kind of blog post we wish we could read before arriving in a city. Posts with a focus on photography that could only be written by someone who has spent time exploring and getting to know the scenery and the ins and outs of a destination. 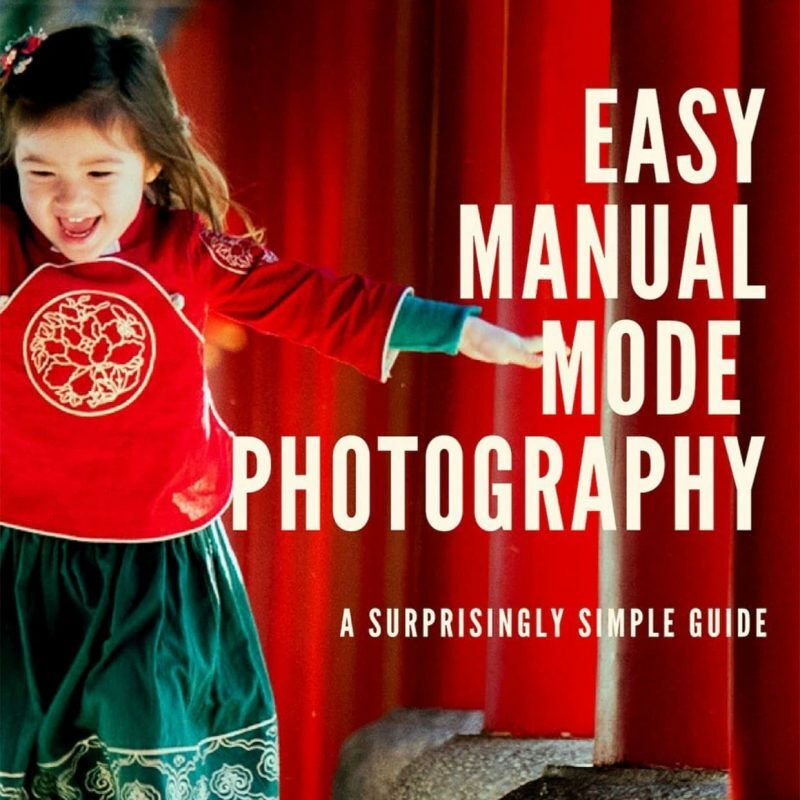 A lot of the time, the resulting post is a photography guide. We’ve written a number of posts detailing our favorite photography sites and how to explore them from a photographer’s perspective. Our intention is to help all kinds of people who want or need to get good photographs while they travel, but don’t necessarily have the time to do location scouting or come back again and again to get the angles and lighting right. It could be family travelers like us, determined to return home with the photo album of their dreams. Or it might be another travel blogger who wants to know how to capture the iconic image they will need to showcase their next destination. Those posts have performed well over time, especially the ones that are specific to a particular site or a certain season. Even if people aren’t searching for photography guides, they can still be tempted by one if they stumble across it. Who doesn’t want to see a few more images of their next vacation city. The result of this has been steadily increasing traffic from Google Images, now nearly equalling our regular web search traffic. It has also been helpful for collaborations. Because of our focus on family travel photography, we have had a number of opportunities to provide content and tips for other bloggers and websites, like this article we wrote for adventuretogether.com. But even though we are try to fill a niche, we also have to do our best to be authentic while we are doing it. There’s more to our lives than just jumping from one stunning view to another, and if we feel like sharing Lisa’s birthday photos or just venting about the rain in Scotland, then that’s what we’ll do. Like I said, it’s not easy to stand out, and it’s even harder to turn a profit. But if we stop doing and writing the things that we love, then there are easier ways we could make money. Jakeanddannie.com might be a moonshot, but the payoff if it works is more than money. It’s an amazing life filled with adventures for our family and an opportunity to pursue our passions wherever they might lead us. And I’d really like to thank all of our readers for making February our most successful month yet. Everyone who reads our stories, looks at our photos, and shares our adventures with their friends on Instagram or Facebook. We know that people find our site for the first time when they are looking for information, but I like to imagine that the ones who come back, week after week, are just checking in to see how we are doing and where we have wound up.